Amarnath Cave, one of the most sacred pilgrimage destination in the region of Himalayas and considered as the abode of lord Shiva. 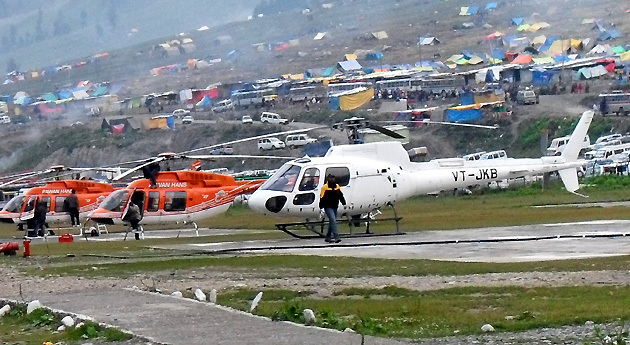 The 4 days Amarnath helicopter tour package from pahalgam is designed to make its guests visit the highly sacred Amarnath Shrine in the best possible way. Apart from visiting the cave shrine, the tour involves sightseeing of some of the best attractions in Srinagar. On arrival at Srinagar airport, our IHPL tour representative would be escorting you to Pahalgam via road. Being a gateway to the Amarnath cave shrine, Pahalgam would be the first stoppage in the journey. As you arrive, check in to the pre-booked hotel for an overnight stay. Wake up early in the morning and begin with your Amarnath Yatra. 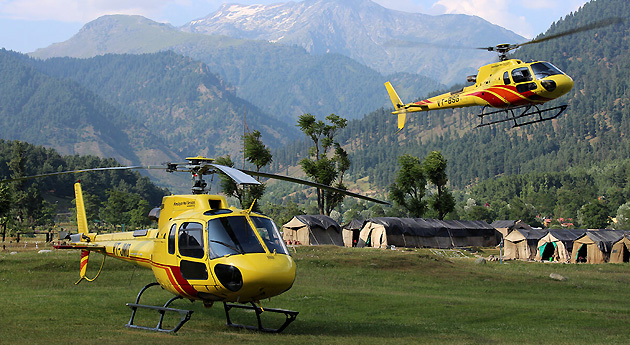 As a part of the journey, you would be boarding a helicopter flight to Panchtarni, which is 40 km away from Pahalgam. On reaching there, you can either choose to trek all the way to the cave (6 km) or get on a horseback, Palki from Panchtarni. As you reach, visit the sacred cave shrine. Post that, return back to to Panchtarni. From there, you would be escorted back to Pahalgam by helicopter, and further transferred to Srinagar via road. As you reach, call it a day and spend your night in the hotel in Srinagar. 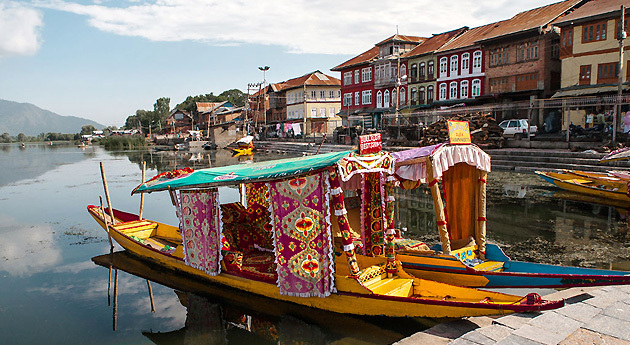 As you would be done with your breakfast, head on a Srinagar sightseeing tour. Under this, you would be starting with the world renowned Mughal gardens that includes Nishat Bagh (garden of pleasure) and Shalimar Bagh (abode of love). Built by Asif Jha in the year 1636, Nishat Bagh is the second largest Mughal garden in Srinagar and is built on the eastern banks of Dal Lake. On the other hand, Shalimar Bagh was built by the great Mugal emperor, Jahangir for his wife Nur Jahan in the year 1619. After admiring the beauty of these gardens, hop on to one of the Shikaras on Dal lake. By evening, return back to the hotel for dinner and overnight stay. Post breakfast, you would be escorted to Srinagar airport for the onward journey back home.